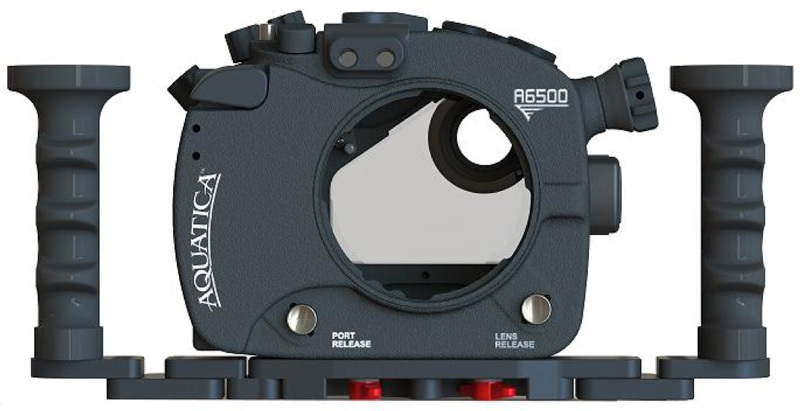 Aquatica has unveiled their housing for the popular Sony a6500 camera. 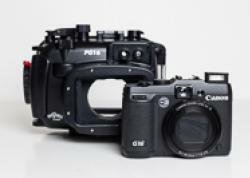 The latest in an impressive line of mirrorless camera housings, the Aquatica A6500 is designed to be small, compact and easily handled - with a tray or in-hand. 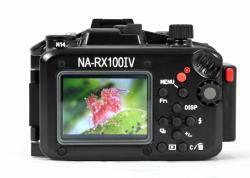 This versatile approach in housing design allows this camera to be used by everyone, from the beginner underwater photo/video shooter to the working professional. The Sony a6500 is an impressive camera, featuring a 24.2-megapixel sensor, 4K customizeable video capture, in-body 5-axis image stabilization, 425 phase detection autofocus points and much more. Be sure to read our First Look at the Sony a6500 article for full specs and features. Teh A6500 boasts some nice features as well, including a power saddle for extended battery life, interchangeable viewfinders, adjustable hand grip support, and accessory ports. 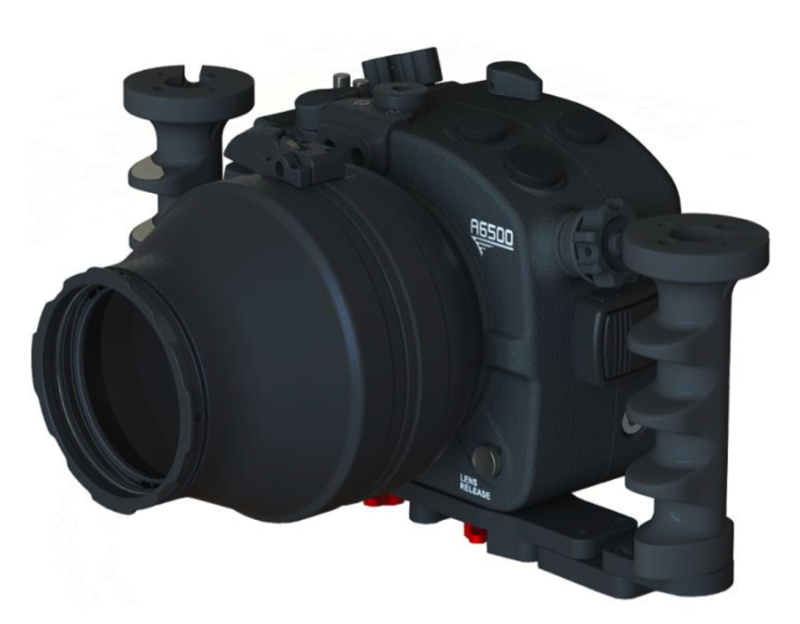 adjusted to a forward, mid and back position while the grip brackets can be adjustedto an inward, centered and outward position from the housing, thus allowing for you to have the industry’s most ergonomic control access available. Additionally; an adjustable Aquatica nylon hand strap is included at no extra cost allowing for the avid freediver, or available light shooter to streamline their profile by removing the handles. Our support will cover the unbeatable Zeiss Touit 12mm 2.8 rectilinear wide angle lens as well as the ultra-sharp Zeiss Touit 50mm 2.8 macro lens. 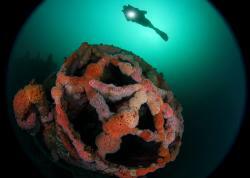 This is followed by the stellar Sony 90mm 2.8 macro with manual focus support, and of course the industry’s favorite Tokina 10-17mm fisheye Canon mount with Metabones adapter. Last but not least we support the Sony 10- 18mm and 16-50mm “kit” zoom lenses and by popular demand both the Sony 16mm and 18-55mm lenses. 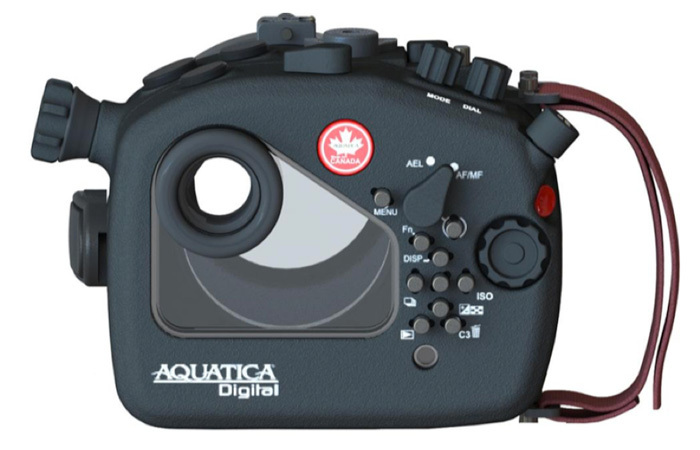 Pre-Order the Aquatica A6500 Housing at Bluewater Photo.